Escanaba City Manager Jim O’Toole said he was told that activity at the Escanaba ore dock has been very slow since Cliffs Natural Resources closed the Empire Mine last year. The Lakes Carriers’ Association says about 3.5 million tons of iron ore was shipped out of the Escanaba port in 2015. A CN spokesman confirmed in an email that ore shipments have been down at the Escanaba port. “With the idling of the Empire Mine in the Upper Peninsula last year, iron ore has not moved to the dock since October 2016,” said Patrick Waldron, CN public affairs. State Rep. Beau LaFave (R-Iron Mountain) said he was told last week in Lansing by a representative of CN Railroad that it planned to close the Escanaba dock. The closure affects 12 union employees. O’Toole says he was told the employees will be able to transfer to other locations. “I advised CN that if they needed any assistance in helping employees find other employment that they could call me and we would work with them,” O’Toole said. He said the company will also be working on a redevelopment or reuse plan within the company for the property. Waldron said the reuse plan could include other materials. 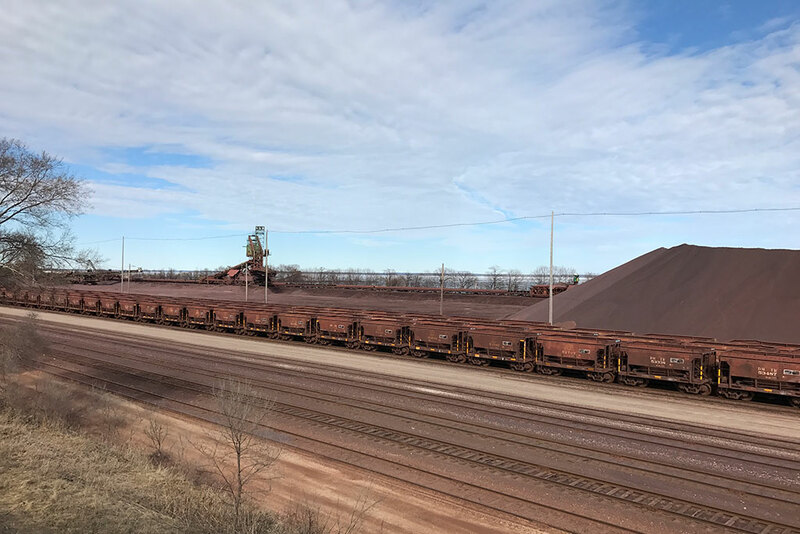 “CN’s yard in Escanaba remains open to serve local rail customers and we are exploring other options for the dock which could potentially be used to load other materials besides iron ore,” he said. Iron ore has been shipped from Escanaba since 1852. It is the only iron ore port on Lake Michigan. The Escanaba port allowed ore to be shipped earlier and later in the shipping seasons when the Soo Locks remained closed. It is also a vital alternative for ore shipments on the Great Lakes if the locks at Sault Ste. Marie were damaged or shutdown. Share the post "CN to close Escanaba ore dock before the end of April"